Bordas vividly illustrates the inclusive, people-oriented, socially responsible, and life-affirming way Latinos have led their communities. 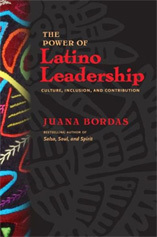 Bordas includes the voices and experiences of distinguished Latino leaders and vivid dichos (traditional sayings) that illustrate aspects of Latino culture. This unprecedented and wide-ranging book shows that Latino leadership is indeed powerful, distinctive, and has lessons that can inform leaders of every background. To the joy of some and the panic of others, America grows more diverse by the day. 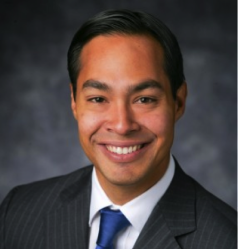 Leaders want to understand and motivate those they lead, but may feel intimidated by the complex history and culture of Latinos in America. 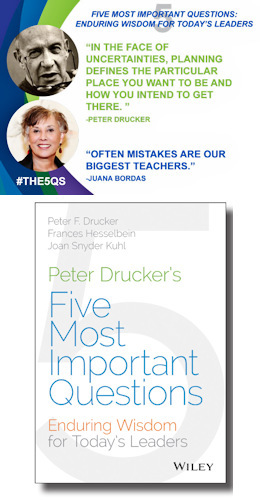 Juana Bordas has written a handbook for making sense of it all. “The Power of Latino Leadership” helps the reader decode the coming America and the changing workforce.